Looking for a fun St. Patrick's Day dessert that isn't rainbow cupcakes? 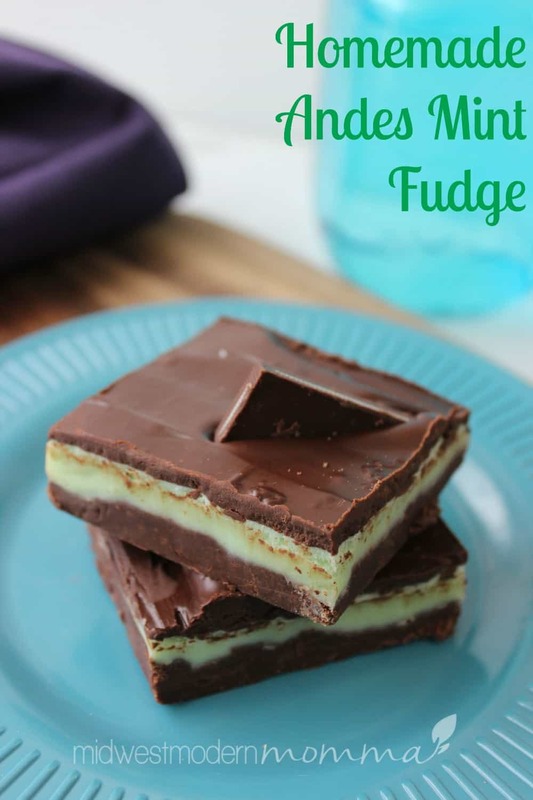 Try this Homemade Andes Mint Chocolate Fudge Recipe! It's very easy and so delicious! Make sure to check out the 17 St. Patrick's Day Recipes from friends below! Confession time: I've never made homemade fudge before this! I've done a boxed kit, but that doesn't count right? Every winter, my Mother-in-law delivers several batches of homemade fudge: Peanut Butter Fudge (my fave), butterscotch fudge, fudge with nuts, and her amazing homemade chocolate fudge recipe! The boys have taken turns helping her make them, so they were more than willing to help me test this recipe out! It is SO easy to make! Get everything you need ready, so you don't pull a Savanah & start making this only to realize you need to run to the store really quick. You need semi-sweet chocolate chips, sweetened condensed milk, white chocolate chips, mint extract (make sure it's pure mint, not peppermint), green food coloring, and coconut oil (most of the chocolate fudge recipes I found called for shortening, but since I didn't have shortening I used coconut oil & it turned out pretty well!) and Andes mints. Mix your chocolate chips with sweetened condensed milk over low heat. Spread them into a baking pan lined with parchment paper and then sprayed with non-stick spray. Put it in the fridge for 10 minutes, while you make up the green layer. Melt the white chocolate chips with the rest of the condensed milk. 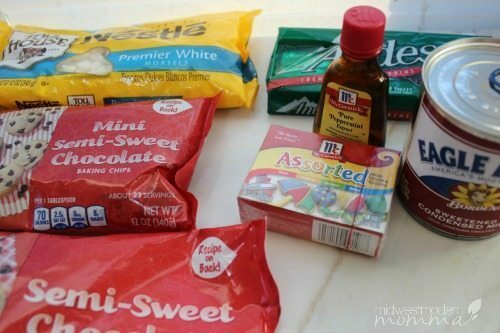 Remove from heat and add the mint extract & food coloring. For a brighter green, you can add more than 4 drops of the food coloring. Spread the green fudge on top of the cooled first layer and put it back in the fridge for another 10 minutes. Cut the Andes mints diagonally & set aside. 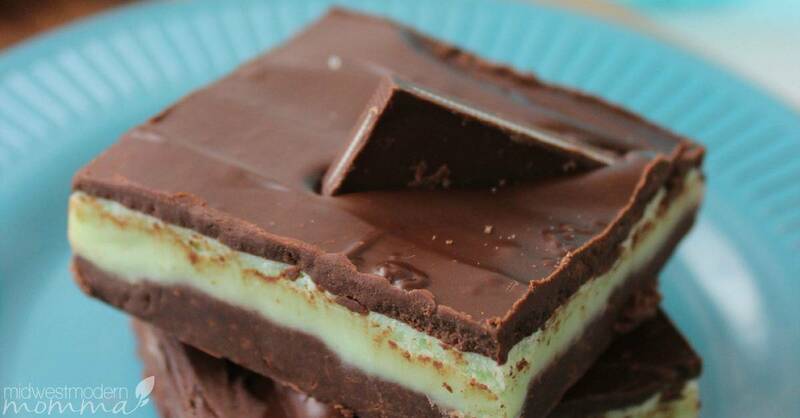 Melt the rest of the chocolate chips with your coconut oil in the microwave & spread over the mint fudge layer. Tops with the Andes pieces and refrigerate until completely set. Cut into squares. 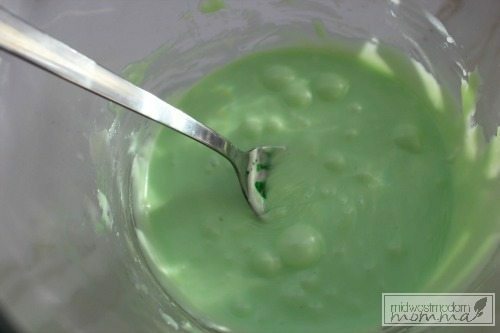 Looking for a fun St. Patrick's Day dessert that isn't rainbow cupcakes? 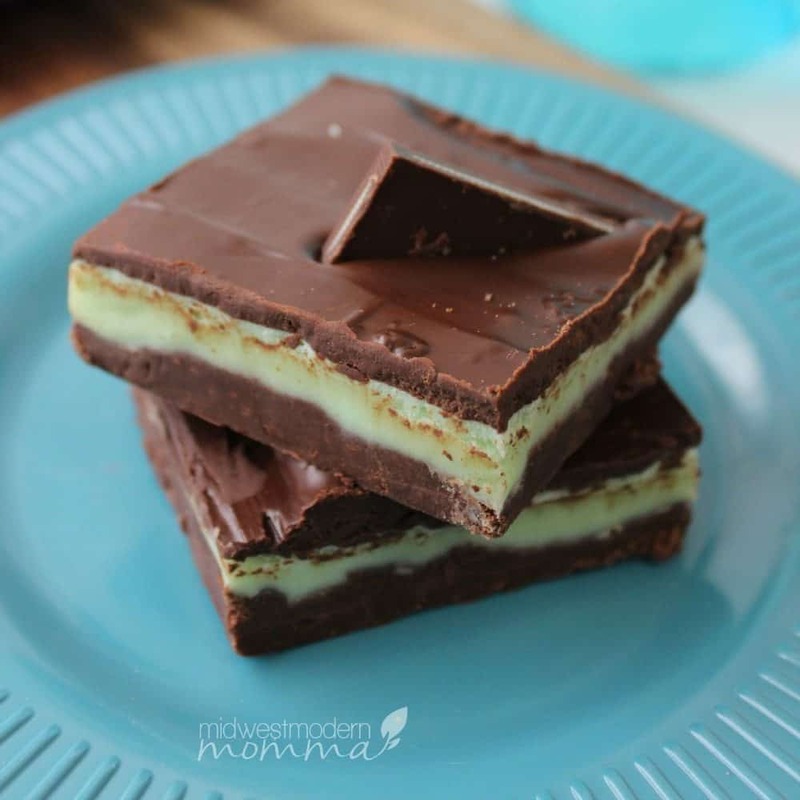 Try this Homemade Andes Mint Chocolate Fudge Recipe! It's very easy and so delicious! Line an 8x8 baking pan with parchment paper and spray with non-stick spray. Add mint extract and food coloring. Melt remaining 1 cup of chocolate chips with 1 tsp coconut oil in the microwave by heating 30 seconds and stirring and repeating until completely melted. Don't forget to check out all our recipes, homeschool ideas, and crafts for St. Patrick's Day! 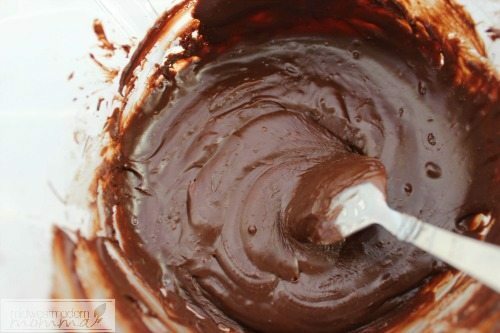 Leave a comment & let me know what your favorite chocolate fudge recipe is!